No computers, no additional apps to apply it, no worrying about what to do if you reboot your phone! 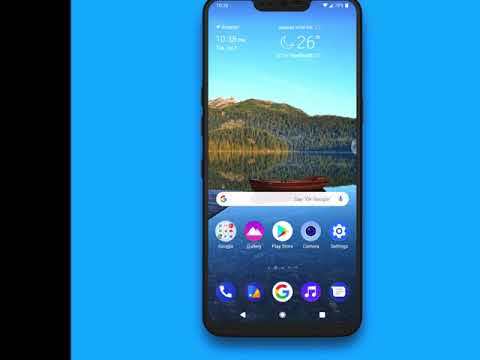 This is Pixel Experience, an LG Home+ theme for your LG G7, V40, V35 ThinQ. This theme is a premium quality theme like no other Home theme+. What you see is what you get and that is quality and attention to details! Unlike any other Home theme+ you will get some third party additions! No need to run a third party theme system any more, just use the system theme chooser and you can enjoy all the benefits of an advanced theme system. This theme has unlocked features that were previously locked on some devices. Features such as swipe right on home screen to activate Google now! Adaptive and dynamic icons are retained as well as the ability to choose more icon shape options! I do recommend that you select the circular icon shapes as it seems to jive nicely with the theme. There will be a Pixel Experience icon pack to follow for those who wish to have the emulated Pixel icons. For now I have retained the stock icons so that those who prefer stock have the choice to really get that pixel feel. Google wallpapers is also a great app if you would like the Pixel Wallpapers and it is free as well. To apply the theme simply go into settings/display and select themes. From there select Pixel Experience, and push apply! You will notice on the first preview it has a banner on it telling you to reboot after applying the theme! That is to allow the notifications to look as advertised. For whatever reason the device needs a reboot to fully take effect. That's it! Simple, easy and quick. Please note that refunds will not be given for installations on non LG G7, V40 or V35 Devices. As the title of the theme clearly indicates which device this is for. This theme is also meant to run at the highest resolution. Lowering your screen resolution may cause some elements to not look right. If you encounter that, simply increase your screen resolution. If you run into any issues please send me an email directly instead of leaving a poor rating. Often I am very quick to reply (unless I'm sleeping and you're in a different time zone) and great to solve any issues. The review system is not meant to be a support channel!